I love love love the combination of burlap and lace! 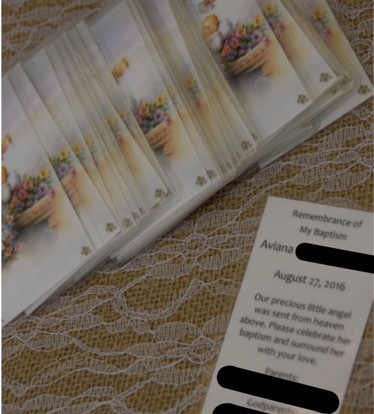 I’ve been waiting forever to get to use this theme in a party and little A’s baptism celebration was the perfect excuse. I found a seller who I bartered with on eBay for the beautiful table runners (definitely saving these beauties and adding to my party stash). I already had a ton of mason jars on hand and Michaels had these little bouquets with the perfect rustic appeal at 60% off. 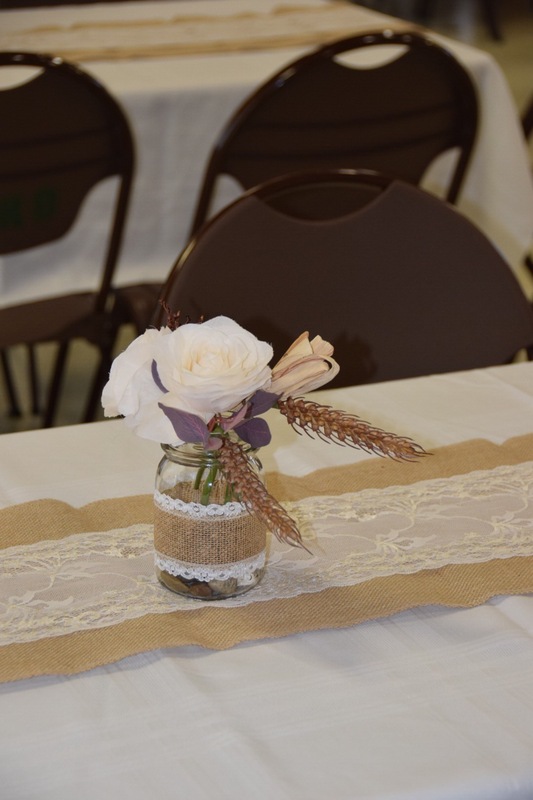 They were perfect paired with a burlap and lace ribbon it was a very simple decoration on half of the tables. 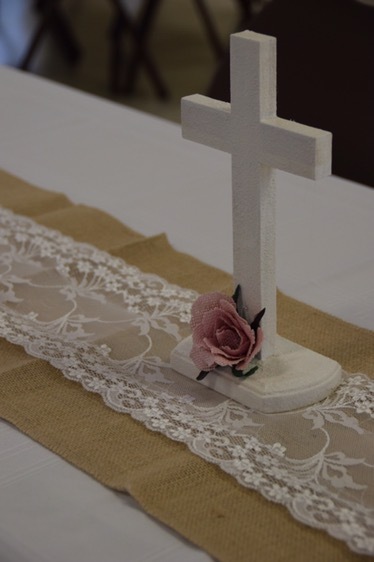 On the other half of the tables I reused crosses that I had hubby assemble for my older daughter’s baptism a few years ago. A new coat of paint and glued on some pink burlap flowers and they were good as new. 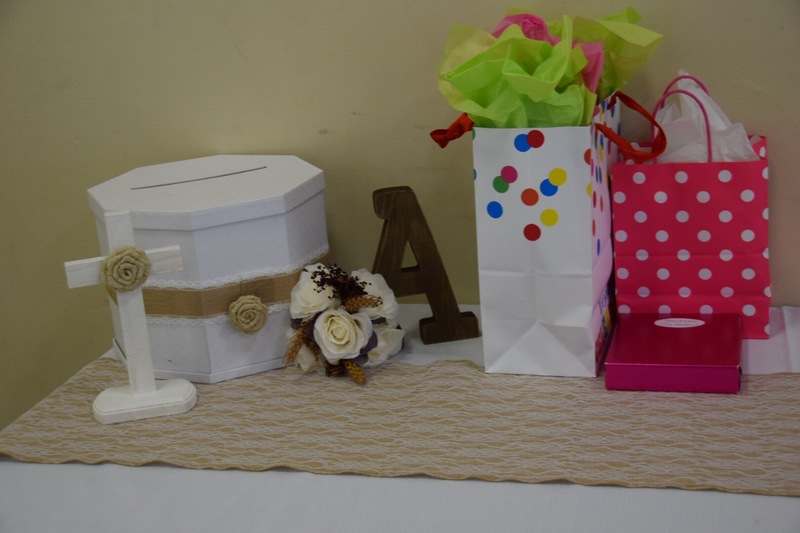 The gift table featured more of the rustic fall flowers from Michaels, another leftover cross, a wooden letter A from Hobby Lobby and my favorite gift card box adorned with the precious burlap and lace ribbon. For the runners for the outside tables, I used a roll from Michaels with lace already adhered to burlap. Details, details! 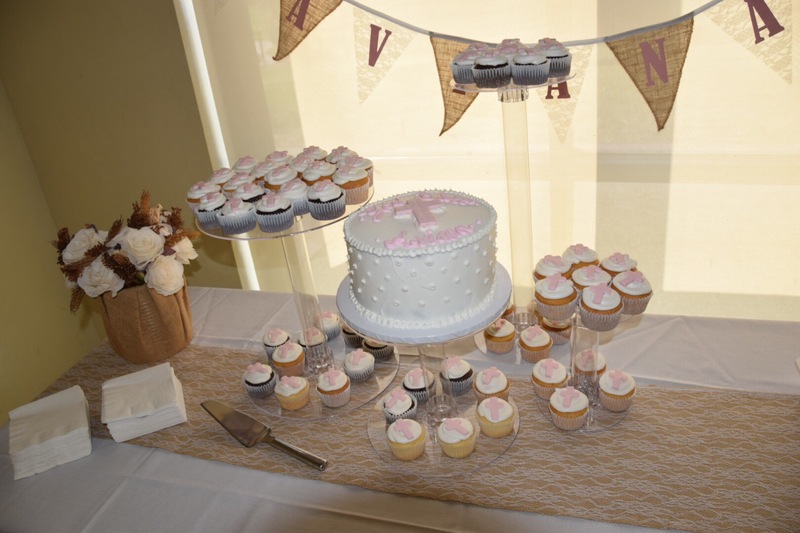 The cake and cupcakes were made by my amazing sister-in-law. More recycled burlap used here from an old project, wrapped around a giant tin can holding more of the rustic flowers. Easy peasy and looks so nice! 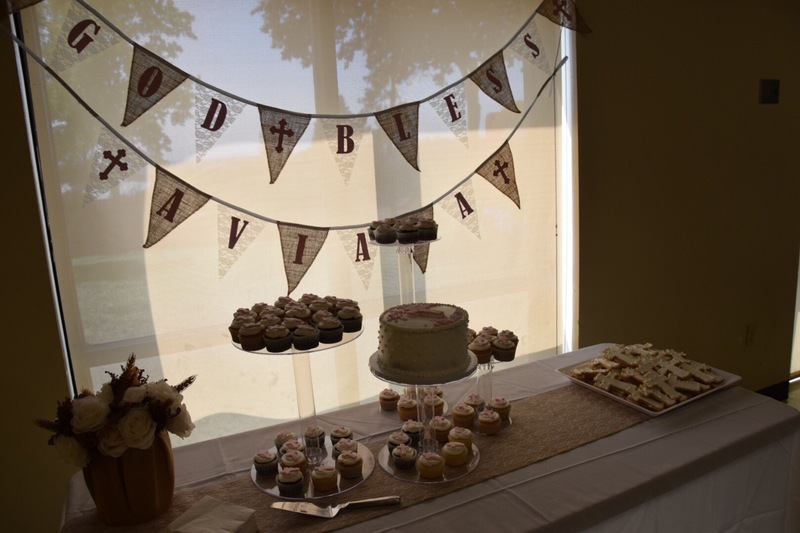 This banner I got on Pick Your Plum a while back, added letters cut from my cricut and it was the perfect touch. The hall didn’t allow for us to use any tape or nails on walls so we got creative and placed the cake table in front of this window. The backlighting looked amazing when we took a few group shots. 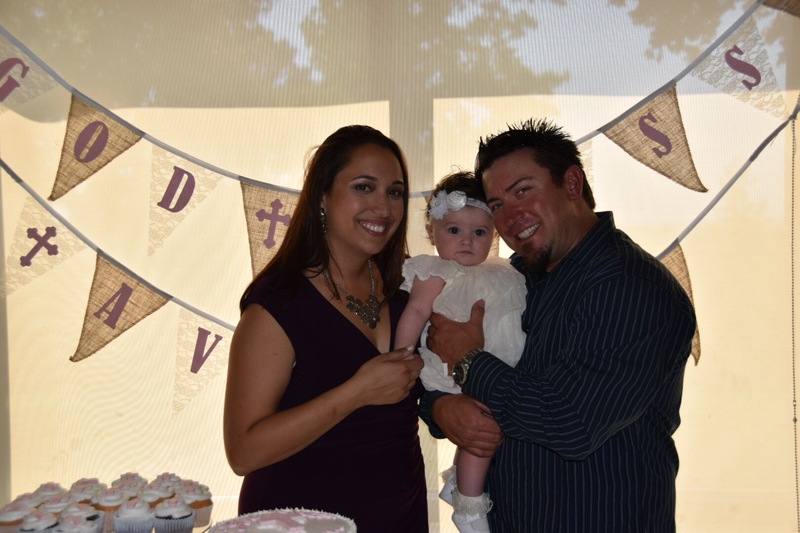 Something special and sad about this celebration was that the person who my husband and I asked to be baby girl’s godfather (a very important ex-stepfather of my husband’s) tragically passed away a little over a month before the baptism took place. The only thing in my mind to do was to keep him as her godfather. He was such an amazing person, he was so honored when we asked, she was in good hands in my mind whether he was here physically or in spirit, I knew I could count on him. 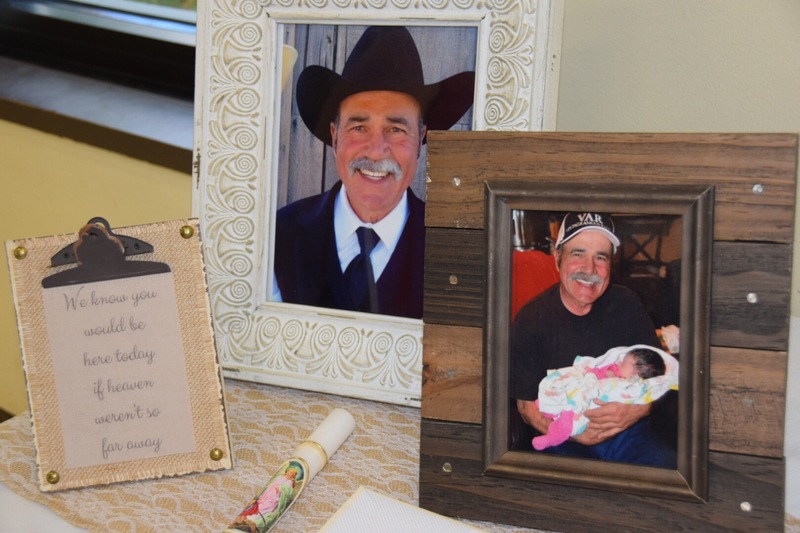 I put together a little memorial area on the favor table to honor his memory. 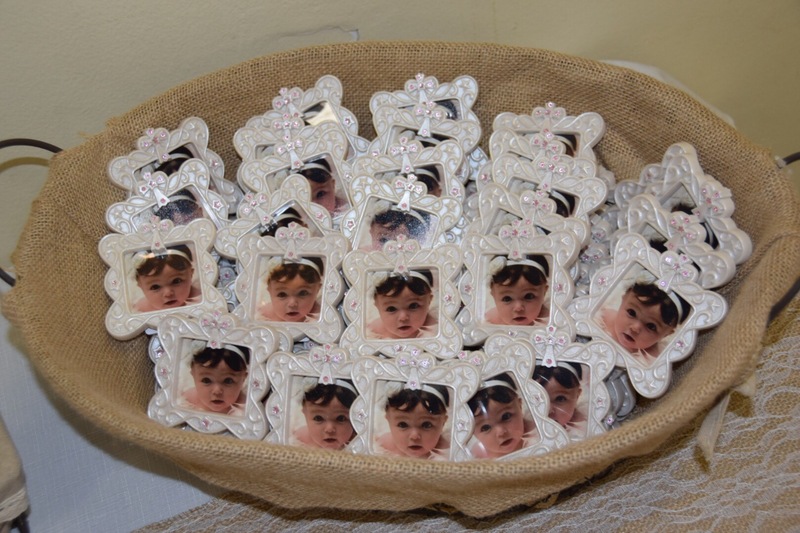 Designed, printed and laminated prayer cards both in english and spanish for all of our guests and they each also received a tiny picture frame with baby girl’s photo inside. I know I am biased but man is she adorable! Kiddos need to be entertained so we brought the bounce house that my parents bought for Sierra’s 2nd birthday and placed it right outside the hall. They were busy for hours! I also put together a basket to put outside with jump ropes, frisbies and balls (almost all items from the dollar store) for the kids to entertain themselves.